One of my most anticipated reads this year and now that I’ve read it, I’ll be harping about it all year like a fan girl. This story was something else. I did not skip a beat or word in this page turner. 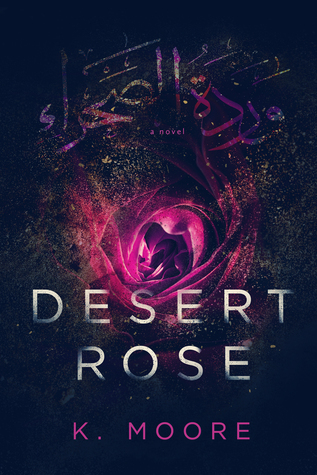 Desert Rose had me on the edge of my seat for a number of reasons. Having a child abducted in a foreign country where human rights are often questioned is Jen’s worse nightmare. Through her eyes, I experienced the bone-chilling terror of a helpless mother and wife. Jen wants nothing more than to get information about how and why her child was taken but the authorities are making it difficult. Women are not met with the same respect as men in Dubai, and Jen feels herself slipping farther and farther away from being able to count on the very people who can help. She becomes a shell of a woman trying to brave it for her son, all the while struggling to communicate with her husband, Kevin. She can’t help but feel a cloud of guilt weighing on her shoulders and thinks maybe Kevin blames her as much as she blames herself. After all, Sarah was abducted while in her care. I can’t summarize much more without giving away a few things so I won’t. I want you to experience this book organically. Although, I must say Kevin really worked me up at times … Grrr! One of the reasons I’m fangirling so hard is the way the book was crafted. The author did a great job keeping the story interesting, articulating the protagonist’s feelings, moods, actions. Everything I would imagine a mother feeling or doing after having a child abducted, Jen covered it. She’s one of the strongest characters I’ve read till date. We also get a look into expat and Dubai life. It’s interesting to read a book when presented with facts, and I appreciated being sucked into the look and sound of the place as if I were there. If you’re a fan of mysteries, thrillers or even crime fiction, this book is a great choice for you. It’s all of those things and then some. Obviously, I’m leaving out some meaty parts but that’s because I want you to go check it out! This is an author to keep your eye on for sure! Here’s the link to K. Moore’s FB Page. Go follow her to see what she’s up to next!